As a child, I could not comprehend how my country could cold bloodedly target and murder Japanese citizens in order to 'save' American lives, which was the lame response I always received from every adult I questioned as to why after what we did to Hiroshima did we do it again to Nagasaki? On July 29, 2009, Archbishop Edwin F. O’Brien of Baltimore gave a keynote talk at the first Deterrence Symposium, hosted by U.S. Strategic Command at Offutt Air Force Base in Nebraska. "We live in an insecure, uncertain world; it is also a time of opportunity. It is a time to put aside many of the old ways and with creativity and imagination, develop new thinking, ideas, institutions, etc. Young people and women will help this process; they know that Nuclear weapons belong to the cold war thinking, and can never be used. To do so, would be immoral, illogical and destroy the Environment. "They know our real problems, are: Poverty, Environment, unethical globalization, abuse of Human Rights and International Laws, gender inequality, ethnical/political conflict, State and paramilitary acts of terror…They know that spending trillions on weapons that can never be used, while each day over 30,000 children die of preventable disease, is immoral and unacceptable. "Released in Hiroshima, it calls upon world leaders, and all people, to eliminate nuclear weapons. And it warns that unless humanity fails in that endeavor, 'the horrors of Hiroshima and Nagasaki' will be repeated. Such weapons, [Mairead] says, belong to the tragic past. They belong to a time when the world lacked the wisdom to realize that each culture needs the other to survive. "Governments which still hold such weapons violate the prohibition of war in the UN charter. But more than that, she says, they’re operating anachronistically. They’re out of touch with the insights of the times. Nowadays our enemies aren’t across the border. The enemies of humanity today are poverty, environmental destruction, militarism, and war. 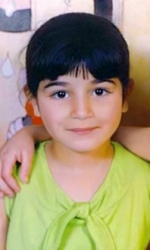 2009 is the final year in the United Nations Decade of Creating a Culture of Nonviolence for All the Children of the World. America is on the record in the UN as abstaining from voting because to support such an initiative would make it "too hard for us to go to war." "Contrary to what the Pentagon tells us, that our God is not a god of war, but the God of peace; not a god of injustice, but the God of justice; not a god of vengeance and retaliation, but the God of compassion and mercy; not a god of violence, but the God of non-violence; not a god of death, but the living God of life. "[And then] we discover a new image of God. As we begin to imagine the peace and non-violence of God; we learn to worship the God of peace and non-violence; and in the process, become people of peace and non-violence. "The one thing we can say for sure about Jesus is that he practiced active, public, creative non-violence. He called us to love our neighbors; to show compassion toward everyone; to seek justice for the poor; to forgive everyone; to put down the sword; to take up the cross in the struggle for justice and peace; to lay down our lives, to risk our lives if necessary, in love for all humanity, and most of all, to love our enemies. His last words to the community, to the church, to us, as the soldiers dragged him away, could not be clearer or more to the point: "Put down the sword." "Violence doesn't work. War doesn't work. Violence in response to violence always leads to further violence. Those who live by the sword will die by the sword. Those who live by the bomb, the gun, the nuclear weapon, will die by bombs, guns and nuclear weapons. You reap what you sow. The means are the ends. What goes around comes around. War can not stop terrorism because war is terrorism. War only sows the seeds for future wars. Jesus is best known as The Prince of Peace and when he told Nicodemus, that you must be born again to enter the kingdom of heaven, he was not talking about an emotional high, but a TRANSFORMATION of heart and mind to wake up and see The Divine in ALL people and all of creation. Every August 6th in the Eastern Orthodox, Catholic, and Anglican churches, there is a celebration of the Feast of the Transfiguration of Jesus, an event reported in the synoptic gospels in which Jesus became radiant having undergone a metamorphosis; a transformation. "The question is not how much more sophisticated our plants and weapons can become, but how serious we are as a nation to lead the world with an alternative vision which interprets power differently and promotes peaceful coexistence globally. "Complex Transformation is the Bush administration proposed plan to restructure the nation's nuclear weapons infrastructure. The administration's goal is to consolidate existing nuclear facilities while increasing the capacity to produce material for new nuclear weapons. "According to a report jointly released by the Energy Department (DOE) on January 10, 2008, the administration seeks an annual production capacity of 80 plutonium pits (read: triggers for new nuclear bombs) as a result of the transformation. "The main justification for the program is the perceived need for a more adaptable and responsive nuclear infrastructure to react to unnamed future threats." Gandhi's non-violence was a political tactic that evolved from the inner realization of spiritual unity within himself. Gandhi studied all the world's religions and after attending many churches, he remarked that Christianity was a great religion and all Christians should "TRY IT!" The problem is not with Christianity, but that too few who claim to be have taken The Sermon on The Mount as their manifesto and live lives that express that God is Love and God Loves All. "Any country, which manufactures and stocks nuclear weapons, is first of all endangering its own citizens. This is why the citizens must confront their government and warn it that it has no right to expose them to this danger. Because, in effect, the citizens are being held hostage by their own government, just as if they have been hijacked and deprived of their freedom and threatened…when governments develop nuclear weapons without the consent of their citizens - and this is true in most cases - they are violating the basic rights of their citizens, the basic right not to live under constant threat of annihilation…Is any government qualified and authorized to produce such weapons?" "We are here today because enough people ignored the voices who told them that the world could not change. We're here today because of the courage of those who stood up and took risks to say that freedom is a right for all people, no matter what side of a wall they live on, and no matter what they look like. We are here today because the simple and principled pursuit of liberty and opportunity shamed those who relied on the power of tanks and arms to put down the will of a people. "Some argue that the spread of these weapons cannot be stopped, cannot be checked -– that we are destined to live in a world where more nations and more people possess the ultimate tools of destruction. Such fatalism is a deadly adversary, for if we believe that the spread of nuclear weapons is inevitable, then in some way we are admitting to ourselves that the use of nuclear weapons is inevitable. "As the only nuclear power to have used a nuclear weapon, the United States has a moral responsibility to act…It will take patience and persistence. But now we, too, must ignore the voices who tell us that the world cannot change. We have to insist, "Yes, we can." "There is violence and injustice in our world that must be confronted. We must confront it by standing together as free nations, as free people. I know that a call to arms can stir the souls of men and women more than a call to lay them down. But that is why the voices for peace and progress must be raised together. "Let us honor our past by reaching for a better future. Let us bridge our divisions, build upon our hopes, and accept our responsibility to leave this world more prosperous and more peaceful than we found it. Together we can do it. 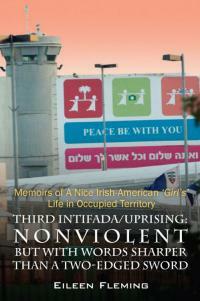 To this day, the USA and Israel claim to be peace seekers and democracies. "Israel is a not a democracy but is an Ethnocracy, meaning a country run and controlled by a national group with some democratic elements but set up with Jews in control and structured to keep them in control.”-Jeff Halper, American Israeli, Founder and Coordinator of ICAHD/Israeli Committee Against House Demolitions and a Noble Peace Prize Nominee for 2006. 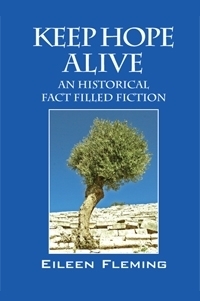 To this day Vanunu remains an open air prisoner captive in occupied east Jerusalem denied the right to leave the Jewish State. 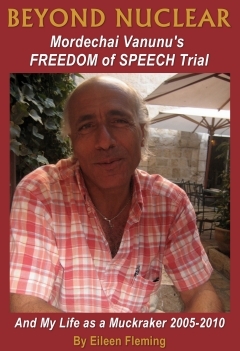 What Vanunu's Freedom of Speech trial exposed since it began on January 25, 2006 is that the Israeli SECURITY System controls the Israeli Ministry of Justice. 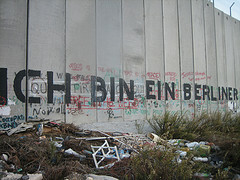 To this day, Tel Aviv persists to attempt to deflect its egregious transgressions of international law and human rights abuses aided and abetted by well funded publicity campaigns, an AIPAC beholden Congress and an American media that has failed at its commission to seek and report all sides of a story when it comes to the now 42 years of military occupation of Palestine. 3. www.usccb.org/sdwp/international/n. The full text of Archbishop O’Brien’s talk, “Nuclear Weapons and Moral Questions: The Path to Zero,” uclearzero.shtml. In 1995, during the 50th anniversary week of the bombings of Hiroshima and Nagasaki, I was at Holden Village, a politically and theologically progressive Lutheran retreat center in the Cascade Mountains of Washington. During that week, there was a one-man play about the life of Harry Truman, the president who was in office when the United States dropped the two atomic bombs on Japan. The actor portraying President Truman mentioned pointedly that as a young man he had kept in his billfold a copy of the Golden Rule (“do unto others as you would have them do unto you”), from Jesus’ Sermon on the Mount. Apparently Truman had claimed at various times during his life that he consulted the Golden Rule whenever he had ethical decisions to make. Later in the monologue, the actor talked about Truman’s decision to order the bombings of Hiroshima and Nagasaki, two defenseless, mainly civilian targets, both of which had been protected, for scientific reasons, from the conventional incendiary bombings that had destroyed nearly every major city in Japan during the first half of 1945. At the end of the play, the actor mentioned Truman’s conviction that ordering the bombings had been the right thing to do, that he had never lost any sleep over the decision and that he would do it all over again without feeling any pangs of conscience. The grotesque contradiction of that statement coupled with Truman’s professed commitment to Jesus’ Golden Rule was too much for me, and so, during the question and answer period, I asked for clarification. How, I wanted to know, did Truman rationalize what Jesus clearly commanded his followers to do in the Sermon on the Mount, with his decision to order the incineration of hundreds of thousands of innocent Japanese civilians, especially with his awareness that Japan had been searching for a way to surrender with honor for weeks before the bombings. All I got was a sputtering defense of Truman’s political decision, and, of course, no coherent comment about the Golden Rule. Harry Truman was a Bible-believing person of faith and privilege who obviously never felt any remorse for his part in causing the cruel suffering of other children of God. But I suspect that if he had been on the ground at Nagasaki in the weeks after August 9, instead of half-way around the world in the safety of the Oval Office, his cavalier attitude would have probably been different. If he had been at ground zero, Truman would have been forced to witness the agony of the living dead, pleading for water, pleading for relief from their pain or pleading for someone to kill them and put them out of their misery. He would have smelled the unforgettable stench of rotting flesh and feces that always follow military air strikes. He is also likely to have succumbed to radiation-induced malignancies himself as did so many American soldiers and Japanese civilians who visited the irradiated cities after the bombings. If Truman had been at ground zero on August 10, 1945, he might not have been so proud of American technological superiority. He may have even expressed shame at having been part of such atrocities, as have so many other American observers of the aftermath. Truman might even have recanted of the deed, asked the Japanese for forgiveness, ordered compensation and looked for other ways to atone for the crime. If Mr. Truman and the tens of thousands of Manhattan Project workers who developed the bombs, and perhaps even the Christian bomber crews that dropped them from the safe distance of 31,000 feet, had witnessed the end result of their efforts up close and personal, they may have stopped cheering their success and instead would have started searching their souls. If Truman’s cabinet ministers, his Joint Chiefs of Staff, his bomber command and the military chaplains who were involved in the war had actually been at ground zero those with any conscience at all would have experienced acute and chronic symptoms of posttraumatic stress disorder (PTSD), with overwhelming guilt, panic attacks, insomnia, nightmares, flashbacks, depression, shame and even suicidality. Their symptoms would have persisted for the rest of their lives, as has been the experience of so many victims, perpetrators and bystanders of history’s battlegrounds. If Harry Truman had really experienced the carnage of the scorching, radioactive fireball that created such a hell on earth for the hundreds of thousands of innocent, defenseless civilians, he may even have worked for the abolition of war and refused to put so much time, mind and money into the post-war development of America’s military machine, its nuclear weapons industry and its national security apparatus, all of which have been such tremendous curses to the world and to the soul of America. But the problem isn’t just Harry Truman. And it isn’t just WWII. And it isn’t just the military. The problem is that most post-Constantinian Christians, politicians, war profiteers, super-patriots and the professional officer class are willing to cause others to suffer and die when their security is threatened. The problem lies in our nation’s desire for power, prestige, property and prerogative. The problem lies in our nation’s unquenchable thirst for retaliation when its honor is besmirched. The problem is the church’s silence about, complicity in, or active support for its nation’s wars. The problem is that most of Christianity has been nurtured in the type of religion that seems to never oppose its nation’s war-mongering until it is too late for the war victims, to whom, after the fact, we then pour out our hearts in charity. The story of the bombing of Nagasaki is a particularly sordid chapter in the history of post-Constantinian Christianity, for on August 9, 1945, an all-Christian bomb crew dropped the second atomic bomb on the center of Japanese Christianity - the Nagasaki Urakami Cathedral. The massive Cathedral was one of the few aiming points that the bombardier had been briefed on and the bomb exploded only 500 meters above it. What the Japanese Imperial government had tried and failed to do for over 200 years – destroy Japanese Christianity - was done by American Christians in 9 seconds. Since the Cathedral was at the epicenter of the blast, most Nagasaki Christians who lived in the area did not survive. 6000 Nagasaki Christians died instantly, including all who were at confession at 11:02 am that morning. Of the 12,000 members of the church, eventually 8,500 died as a result of the bomb. Three orders of nuns and a Christian girl’s school were incinerated. Tens of thousands of innocent people died instantly and hundreds of thousands were mortally wounded, some of whose progeny are still in the process of dying from the cross-generation contagiousness of the deadly plutonium. Is this the way of Christ? It is not. War and violence are equal opportunity destroyers of the soul, whether the participants in the violence are the victims, the bystanders or the perpetrators. It should be obvious that the spiritual costs of war are too high. And looking back on the true history of the monstrous evil that was the Viet Nam war, it was obvious that King was right when he felt compelled to join the protest movement against that war, even though it cost him his life. Most observers say that King was signing his own death certificate when he made that famous anti-Viet Nam war speech at Riverside Church in New York City on April 4, 1967, exactly on year, to the day, of his assassination. The pacifist Dr. Martin Luther King, Jr. was right on the war question. The pacifist Gandhi was “right on the war question” when he led his nonviolent revolution against British military-enforced economic oppression. The pacifist Christian church of the first 3 centuries was “right on the war question” when it refused, on the basis of their understanding of the message of Jesus, to allow its members to join Rome’s military. Let us Christians who are citizens of the nation that possesses the largest collection of lethal weapons in the history of the world – and also possesses the willingness to use them - not find ourselves on the wrong side of the war question. Let us learn and teach and adopt the lessons of Nagasaki - before it is too late. Let us learn and teach and adopt the lessons of the Sermon on the Mount and the Golden Rule and let us learn and teach and adopt what Jesus modeled for us by how he lived his life – a life of unending mercy, boundless compassion, patient understanding, forgiveness 70 X 7 and the unconditional love of friend, neighbor and enemy. If we Christians don’t teach and live as Jesus taught and lived - rejecting violence in its myriad of forms, rejecting the temptation to retaliate, healing and never injuring, being merciful to the least ones - we will find ourselves living by the sword and then, we will – along with our progeny and the progeny of our friends and enemies – eventually wind up dying by the sword, figuratively if not literally; psychospiritually if not physically. Amen.